Just like in any other profession, starting a career as a photographer can be overwhelming. You have to pick the right camera to use, buy appropriate lenses for your camera, and learn different strategy to get that perfect shot. If you’re experiencing that kind of dilemma right now, you’re in luck because we have an answer to two of those problems! First, what camera to buy? There are tons of cameras to choose from but one of the best cameras for new photographers is Nikon D3300 or Nikon D3100. D3300 is one of the leading entry-level cameras of Nikon. Some of its basic, yet appealing specifications are: it has an Expeed 4 image processor, 11 AF points, frame advance rate of 5 flaps per second, 24.2 megapixels and ISO ranging from 100-w12,800. When it comes to lenses, you’ll never have a problem as Nikon released lots of lens options for D3300. But if you want to explore different brand, it’s all right just make sure it’s compatible with D3300. To know their compatibility, you have to check their format, lens mount type and crop factor; and compare it to D3300 specification (DX-format, the lens mount is Nikon F mount (with AF contacts) and 1.5x crop factor). For D3300 lens mount, the available compatible lenses are AF-S and AF-I lenses; AF lenses (IX NIKKOR and lenses for the F3AF are not supported) and AI-P lenses. For the electronic rangefinder, it can be used with lenses that have a f/5.6 maximum aperture or faster. As a newbie in photography, you probably wonder what a crop factor is. By definition, the crop factor is used to describe the size difference between a 35 mm film frame and the camera’s sensor size. There’s a simple formula to know if the lens fits your camera and that’s by multiplying the focal length of the lens by 1.5. The table below shows 6 lenses that’s compatible with Nikon D3300 and the type of photography they’re good at. This lens is included in the starter kit for D3300. It has a focal length equivalent to 27 to 82.5 mm in 35 mm photography; and a vibration reduction that enables sharper image and video quality; and enhanced low-light capabilities. Also, it features Nikon’s exclusive built-in Silent Wave Motor that ensures fast and quiet autofocus operation. It has an optical design to ensure superior performance. It has a 0.28 meter/0.9 foot closest focusing distance throughout the entire zoom range. It has a focusing mode that gives you the option to switch from automatic to manual focusing with no lag time. But if you want a newer model, Nikon released an update and that is 18-55mm f/3.5-5.6 VR II Lens. There aren’t much of changes from its previous version, except for its weight, maximum aperture, and vibration reduction. Compared to the first one, this lens is designed to be 25% smaller and lighter than its predecessors; it has a maximum aperture of 5.6, and its Vibration Reduction technology can provide 4.0 stops of blur-free handheld shooting. This updated VR technology guarantees much crispier and sharper images even if you shoot at slower shutter speeds in low-light situations, or have an unsteady hand. The only downside of this lens that most people don’t like is it isn’t flexible enough for various shooting as it has a limited reach. A compact all-in-one lens that’s ready for anything – This is the reason NIKKOR 18-140mm becomes one of the best lenses for Nikon D3300. So, if you’re the type of photographer who’s always on the go and loves to pack light at the same time, this lens is for you! NIKKOR 18-140mm f/3.5-5.6G ED VR Lens is designed as a compact all-in-one lens that’s ready for any type of adventure. It has a high-resolution DX-format image sensor that delivers ultra-sharp photo and video quality with a soft blurred detail on the background. It also has a 7.8x zoom range (18mm to 140mm) that allows you to shoot everything from wide-angle portraits to telephoto close-ups on a fast-action subject. The 4 stops of VR image stabilization means, aside from producing sharper handheld photos and video quality, you can also get as close as 1.48-feet from your subject. This is great to use for macro-style close-ups. It has a minimum focus distance of 1.48 ft. from focal plane at all zoom positions. It has aspherical lens flare element that virtually eliminates aberration and improving image quality and color. It has a Type G AF-S DX lens with built-in CPU and F mount. This lens becomes one of the best lenses for Nikon D3300 because its lightweight, provides high picture quality and its’ optical design’s picture angle approximates close to the human eye perspective. Also, this lens AF-S has 2 focus modes: Manual Override Autofocus and Manual Focus. The Manual Override Autofocus mode allows you to enable instant manual switching during Autofocus operation; while Manual Focus is self-explanatory. It has a f/1.8 prime lens that’s perfect for travel, low-light conditions, environmental portrait and general photography. 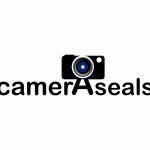 This lens features rubber seals to reduce moisture ingression around the mount and can focus down to 0.98 ft. The only downside of this lens is it isn’t zoomable. But other than that, this is a good lens for shooting portrait, travel and street photography. Do you already have an 18-55mm kit lens for D3300 but still want to add more action? NIKKOR 55-200mm is the lens to choose! NIKKOR 55-200mm has always been a great companion of 18-55mm. It’s a telephoto zoom lens that’s advantageous to use in capturing group shots, travel, and sports. And since this lens is compact, you can use it for your everyday adventure – school events, child’s baseball game and so on. Its’ zoomed out capability is just 83mm long, it’s about 20% shorter than the previous models; while its’ zoomed in capability provides 200mm of telephoto reach that can get you closer to all the shots that matter. It’s designed with advanced technology to deliver vibrant and clear images and videos. It has an IF Lens. In NIKKOR lens, during focusing, only the internal lens group shifts. But in IF NIKKORS, it doesn’t change in size during autofocus operation. If you’re the type of photographer who loves to capture details of your subject, Micro-NIKKOR 40mm is the best lens to choose! Micro-NIKKOR 40mm is the best lenses for Nikon D3300 when it comes to capturing the close-up shot as it has a Close-Range Correction System technology. So, this is beneficial in capturing general close-ups, non-moving subjects such as flowers and products, landscapes and more. It can provide sharp and contrast images from infinity to life-size by 1X. It has a minimum focus distance of 0.53 ft. This 6.6 oz. lens is best for portrait category or indoor photography. It can function well even in low light at f/1.8. With this, photos will look crisp and more professional at a very fair price. Its accurate and fast auto focus is a good pair. So much so that they make the lens as one of the sharperst in the lineup of Nikon. Even the out-of-focus areas of an image appears great with this lens, creating an amazing background blur if wanted. Nikon D3300 has a DX-format. As an additional information, a DX-format camera has the capacity of using both types of lenses, that is the DX and FX. Thus, Nikon 50 mm f/1.8 lens having FX-format (equivalent to 75 mm.) is nonetheless compatible with Nikon D3300. It is equipped with the Silent Wave Motor technology or SWM. This AF lens technology innovation is utilizing ultrasonic vibrations instead of the system of gears. That is why it is responsible for a more precise, an incredibly smooth, more quiet and faster autofocus when you are using this lens. M/A Focus Mode Switch makes a photographer’s life really easier. Using this mode allows you for seamless changes between autofocus and manual operations as a particular situation may require. Simply rotate the lens focus ring and you can already proceed to fine manual focusing. Remember, this overriding the AF system thing has no time lag, so rest assured that your comfort is not sacrificed here. For an even greater optical performance and a higher contrast, an aspherical lens element is being used here. The Nikkor lens family had this tested since 1960s. Its continuous improvement stood the test of time in terms of erasing coma and any other types of aberration. It also has a great deal of light transmission efficiency. This is all thanks to the Nikon’s Super Integrated Coating (SIC). What other specification to consider? After knowing the compatibility of the lens to your camera, the next thing to consider is whether to choose prime or zoom lens. The difference of the two is the range of focal lengths that it covers; prime lenses have fixed focal lengths while zoom lenses are more versatile as it covers a range of focal lengths. For Nikon D3300, many suggested using a zoom lens. But this always depends on the photographer’s skill. If you’re new, prime lens is a good companion. Also, take a good consideration of its optical innovations. A good optical innovation always guarantees vibrant, sharp and steady image and video quality. Super Integrated Coating (SIC) is an exclusive multilayer lens coating of Nikon that helps to deliver superior color quality while reducing ghost and lens flare to a negligible level. To make it more effective, Nikon ensured that the number of coatings applied to every lens element is carefully calculated to match the lens purpose. Extra-low Dispersion (ED) glass was developed by Nikon optical designers and glass specialists to effectively eliminate optical distortion. This is used in selected telephoto lenses. The rounded seven-blade diaphragm makes out-of-focus details appears more natural. Aspherical lens elements that minimize various types of lens anomaly and provide superior resolution performance. Nikon Vibration Reduction (VR) is a system that minimizes image blur that’s commonly caused by unintentional camera shake. This has been possible by offering an equivalent shooting at a shutter speed that’s three stops faster which is beneficial for handheld shooting at sunset and poorly lit environment. But if you choose NIKKOR lens, its VR is much advanced as it’s capable of judging whether or not the motion captured is intentional. Once it detected the motion is unintentional, it will correct it. And as of latest update, some lenses have a VR image stabilization that provides 4.0 stops faster of blur free handheld shooting. With this, a photographer doesn’t have the need to carry a tripod all the time. Silent Wave Motor (SWM) is built in lenses to get instant manual focusing without the need to tap any switches. It also has an ultra-quiet autofocus operation that makes it ideal for shooting sports and other fast-action photography. Nikon D3300, alone, is a great camera to use for different type of photography. But of course, our creativeness doesn’t have to be limited to D3300’s capability. We need to look for a way that can help us achieve the result we wanted without the need to buy an additional camera. The answer to that problem is lenses. The lens helps cameras to enhance their capability and reach. We just need to find the right match for our camera. And in our opinion, between the 7 lenses we’ve discussed, the best lenses for Nikon D3300 are Nikon NIKKOR 55-200MM f/4-5.6G ED VR II. Aside from being a great companion for 18-55mm kit lens, it’s a versatile lens that you can use either for action photography or simply, your everyday adventure. It’s just a huge plus that it has a maximum 200mm telephoto reach that can get you closer to your subject. So if you’re the adventurous type of photographer, this lens is for you!